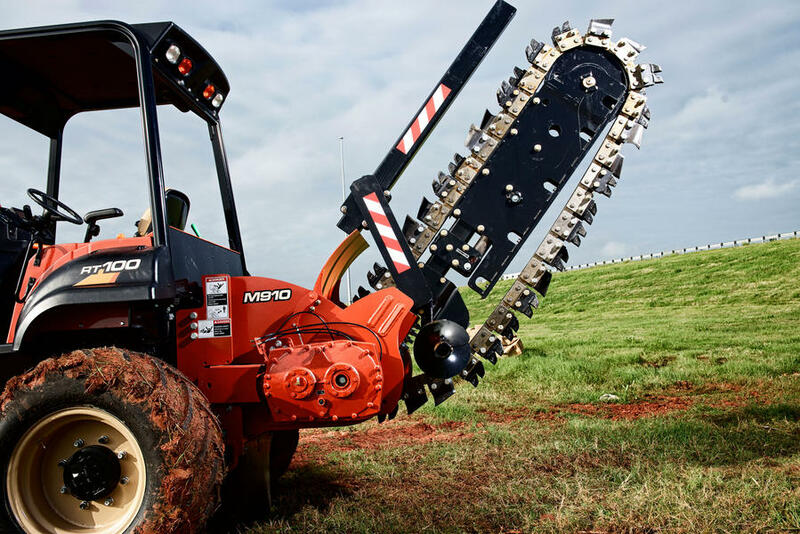 The RT100 ride-on trencher scores a perfect 100 in reliability, efficiency and productivity. 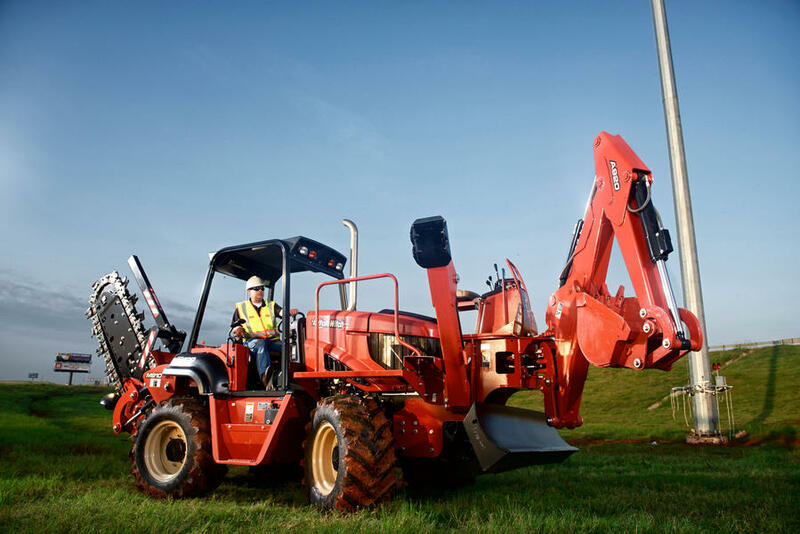 Its 100-hp Deutz® diesel engine not only provides the power you need to get the job done, but it’s also Tier 4i, so you can rely on it for years to come without need for an upgrade. 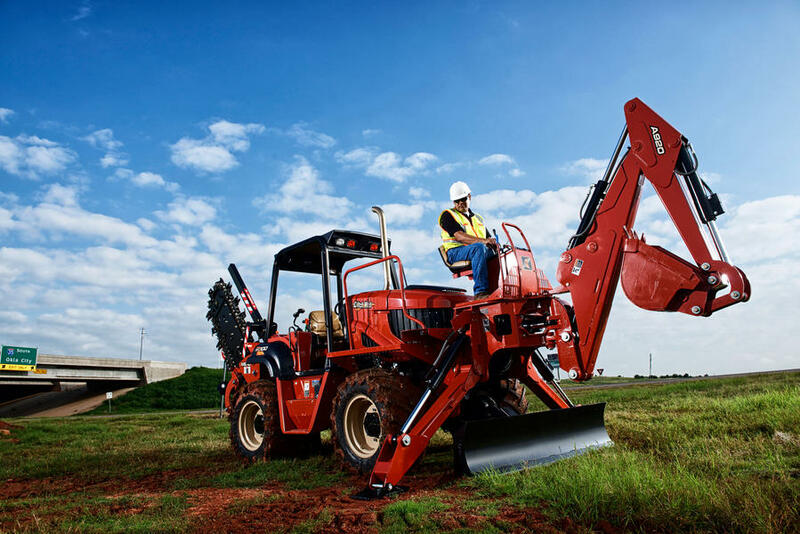 From top to bottom, the RT100 is solid, engineered with heavy-duty components that can handle those long hours on the jobsite, plus an operator’s station that keeps you going strong, too. 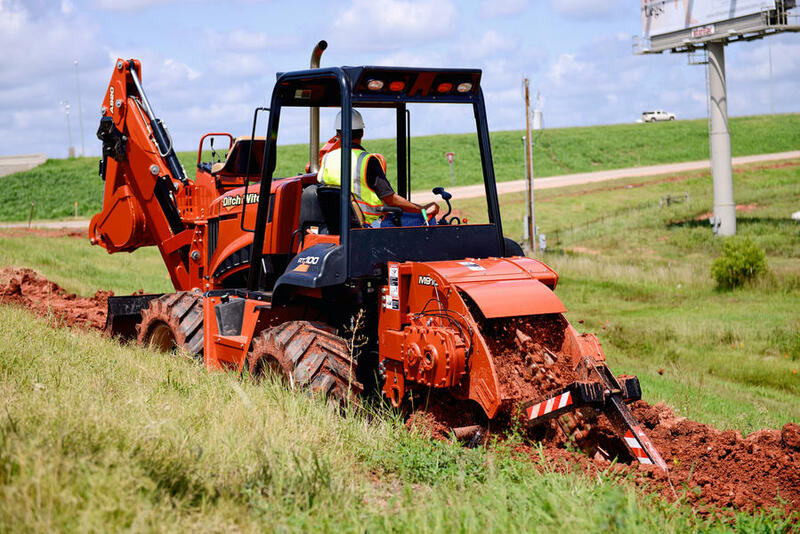 Choice of transmissions: powershift gives you “on-the-go” shifting and no clutching; hydrostatic offers infinitely variable speeds, from zero to maximum forward. 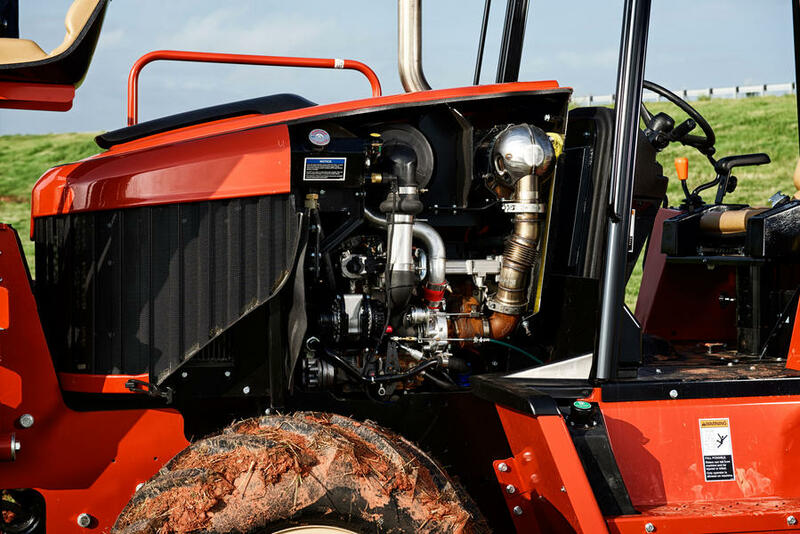 100-hp Deutz diesel engine provides the power to perform all machine tasks; Tier 4i engine requires no expensive after-treatment. 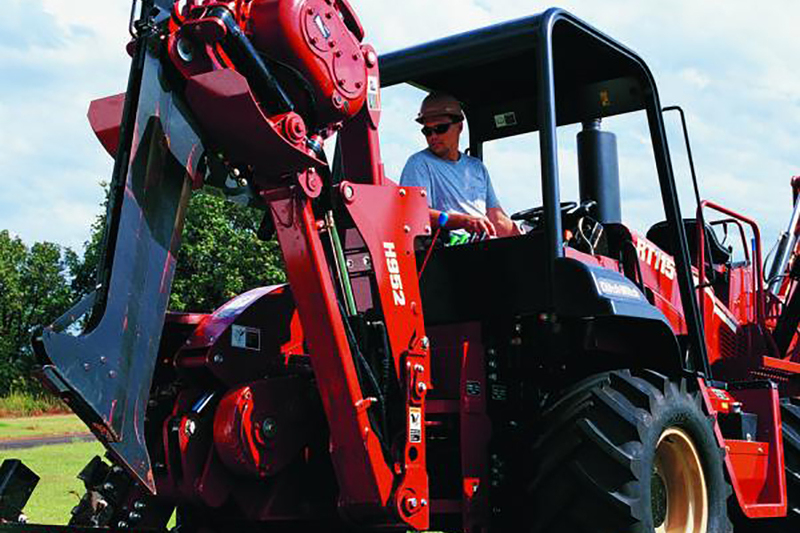 Mechanical power design, the most efficient way to transfer power, provides long-term efficiency and productivity. Solid backfill blade lift arms and cast blade pivot increase structural strength of the backfill components. 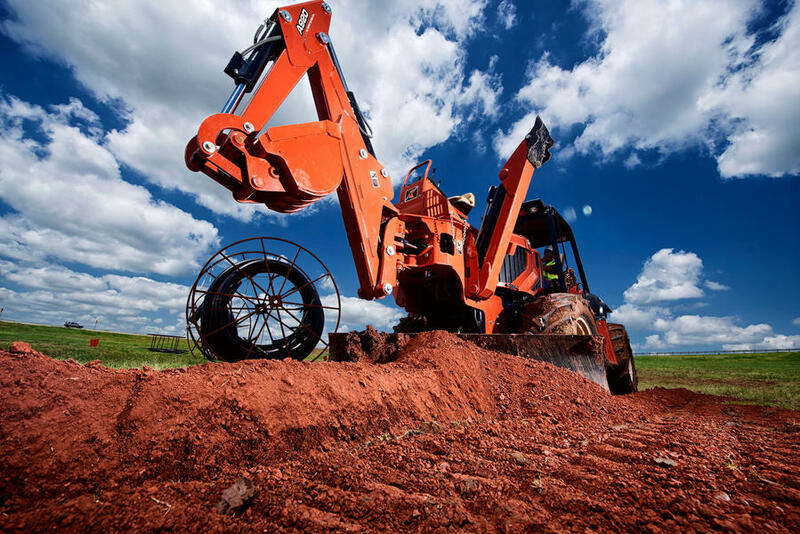 Planetary axles with locking differentials make maximum use of torque at the wheel and offer high ground clearance. 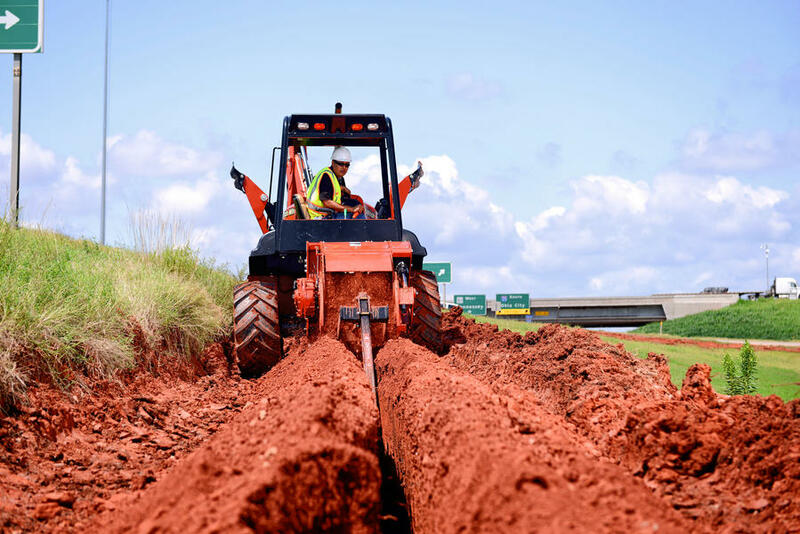 The versatile RT100 accepts two types of trencher attachments—centerline and offset—plus a front-mounted backhoe. Molded hydraulic tank and fuel tanks make more efficient use of available space and are enclosed in a steel cradle. 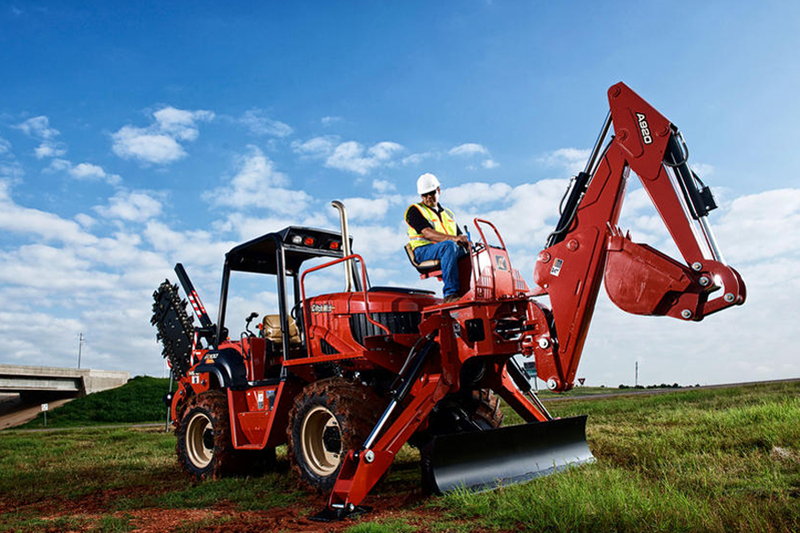 Ergonomically designed operator’s station includes a 90-degree swivel seat, adjustable armrests, easy-to-read gauges and a tiltable steering column. 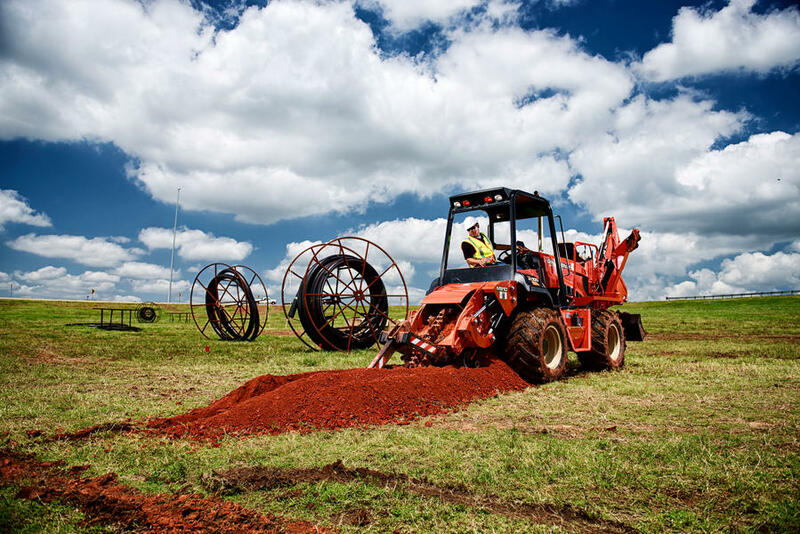 Standard four-wheel drive helps provide superb traction and mobility in all kinds of jobsite conditions and applications. Color LCD engine display provides all engine information and diagnostics. 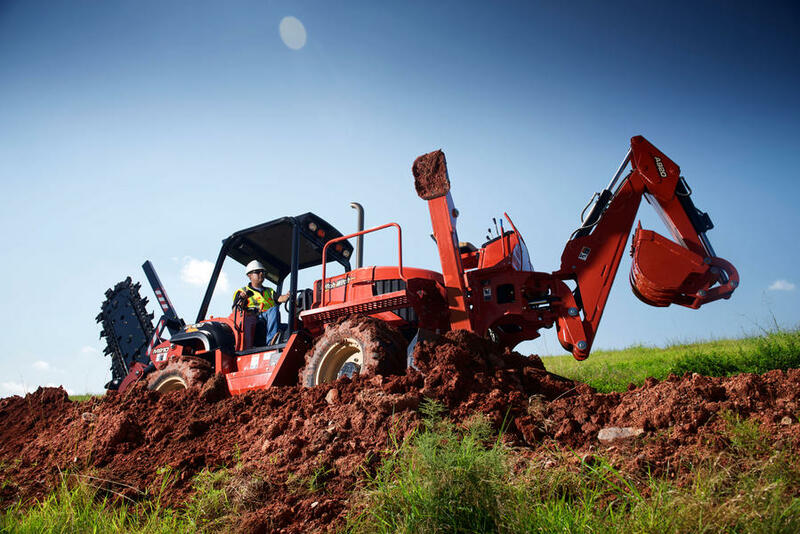 Optional climate-controlled cab for greater productivity in inclement weather. 19,100 lbs. / 20,370 lbs.